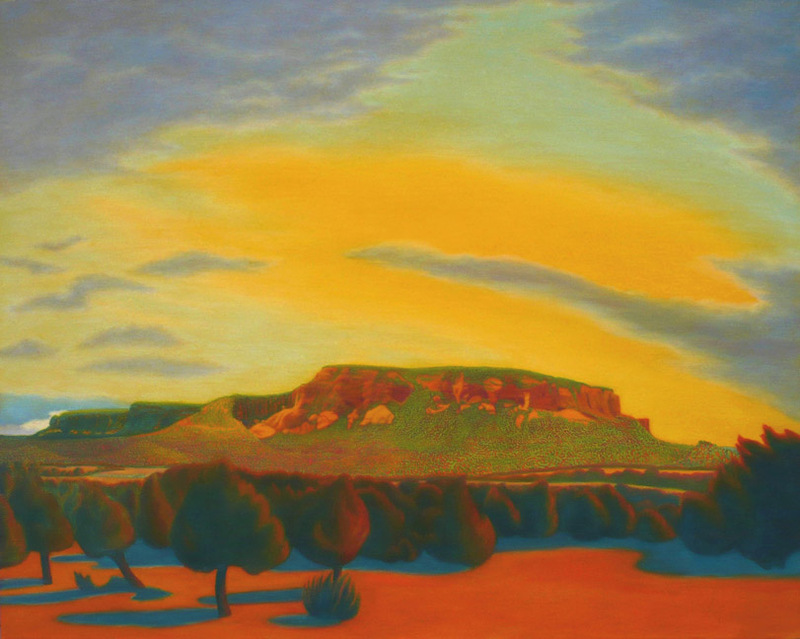 This series of regional paintings depicts only a few of the numerous sacred sites of Native American tribes living in the Southwestern United States. 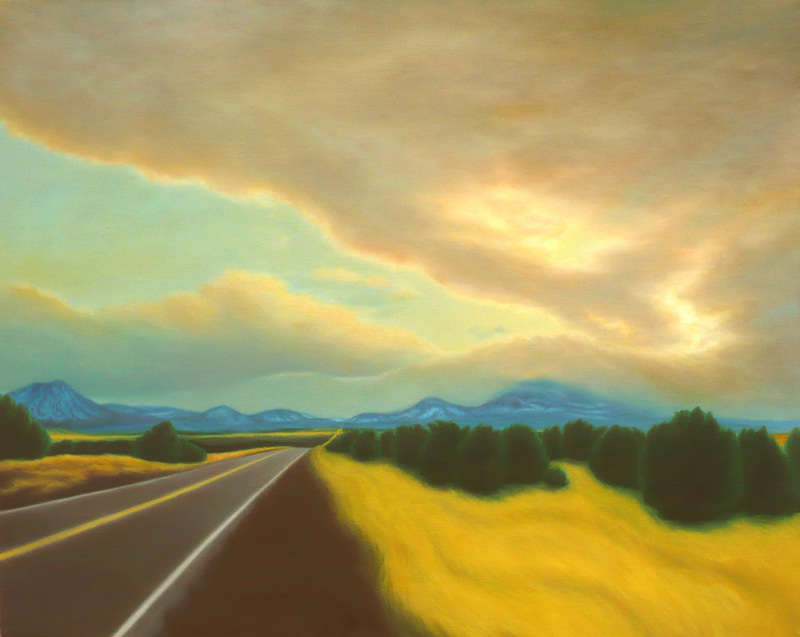 Over many years, I traveled to each site in New Mexico, Arizona, and Colorado and made small oil pastel sketches of each one, then did the larger oil paintings later in the studio. Some sites were on Indian reservations, others on land that is now publicly owned. My expenses for travel and art supplies were funded by a grant from the Ludwig Vogelstein Foundation. My original grant proposal was to gain access to little-known, remote sacred Native American sites as my source material—yet I soon discovered this was a bad idea. Whether or not this was true for the sites I chose, my thinking was flawed. First, in the native worldview, all of Mother Earth is sacred. (Although a Navajo friend did admit to me that some sites are more sacred than others.) And the second problem is that by publicizing these sites, I would be doing Native Americans a disservice. 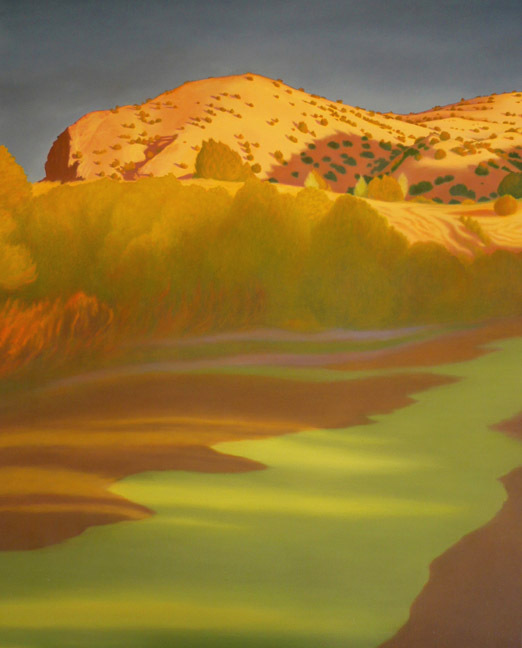 They desire to protect the sites and keep them private, but my painting series might create interest and curiosity, drawing tourists or adventurers who would trespass in restricted areas. As a result, I revised my original list of sites to include only those that can be seen from a distance, without trespassing on sacred ground; those that are now on public land; and those generally known to the public. I used archival materials for these paintings, including Belgian linen canvas and Old Holland oil paints. While on location, I did small oil pastel sketches and took photos, which I later used as references for the large works in oil painted in my studio. Sometimes I used a technique of multiple thin glazes, instead of more direct painting, and built up layers to create a luminous effect. 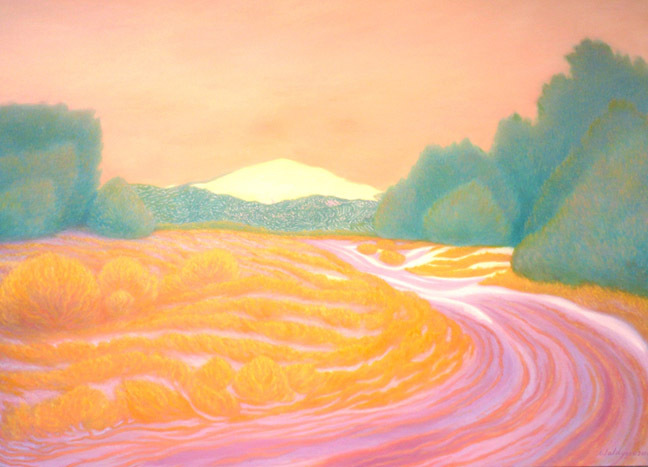 My obligation to do justice to the sites and the reverence native people felt for them subconsciously influenced my painting style, which previously had been a bit more abstract. 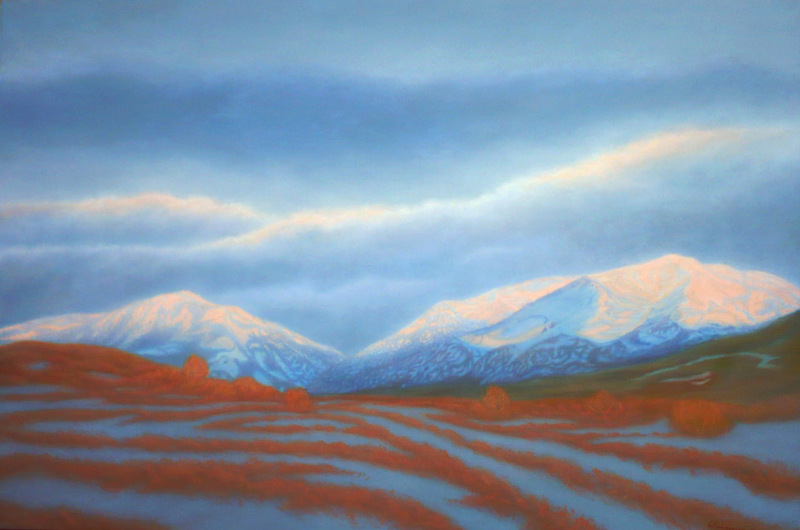 The sacred sites paintings ended up more in the realm of heightened realism. 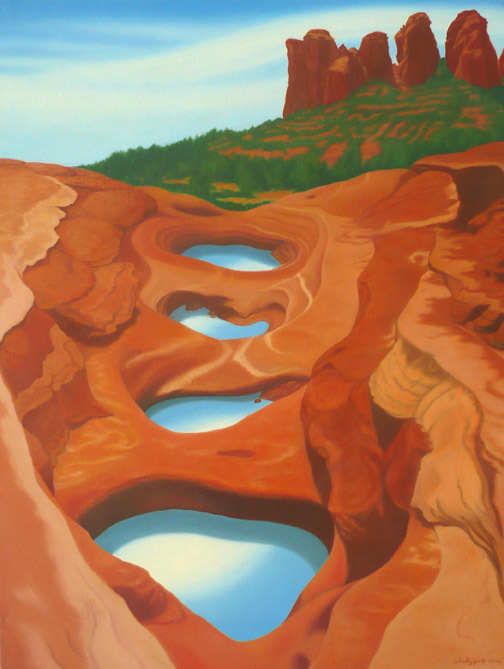 I became very detail oriented to accurately portray the landscape formations, so each labor-intensive painting took 2 to 4 months to paint, and Spider Rock at Canyon de Chelly required 7 months. 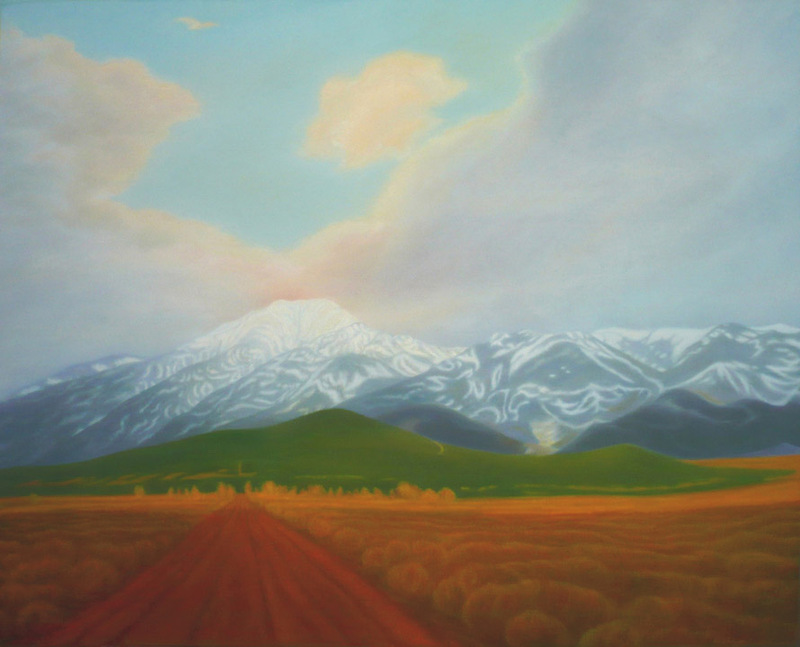 For some of the paintings in the series (Corn Mountain, Wheeler Peak, Sleeping Ute Mountain, Mount Taylor, and Shiprock), I completely re-envisioned the light, the color, and the atmospheric effects, based on my 24 years of living in New Mexico and witnessing countless stunning skyscapes. 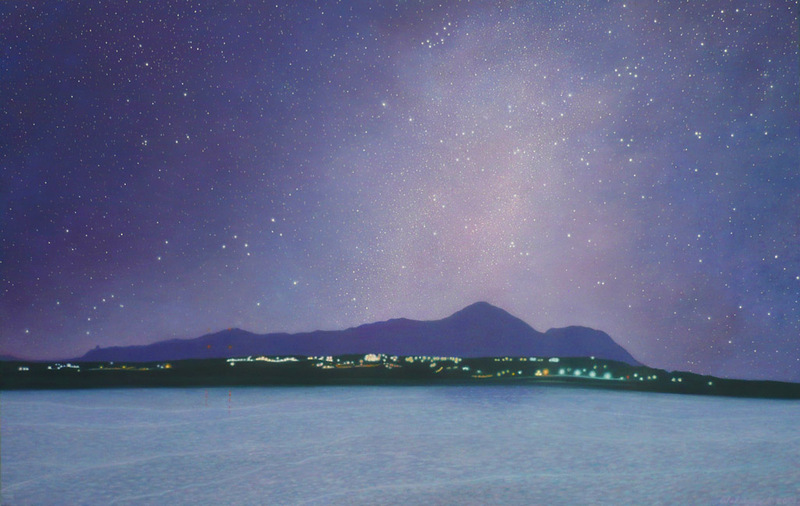 If I hadn’t played around with the light this way, I would have been stuck duplicating the flat, bleached-out daylight of my photos—or else camping at each site to wait for Nature to produce a memorable skyscape. 8. Shiprock (Tsébit’a’—“The Great Rock with Wings”), Navajo reservation, New Mexico; on top of which the Navajo culture hero Monster Slayer killed the evil Monster Bird. There were so many outstanding views of this unusual rock formation, I didn’t know which to choose. 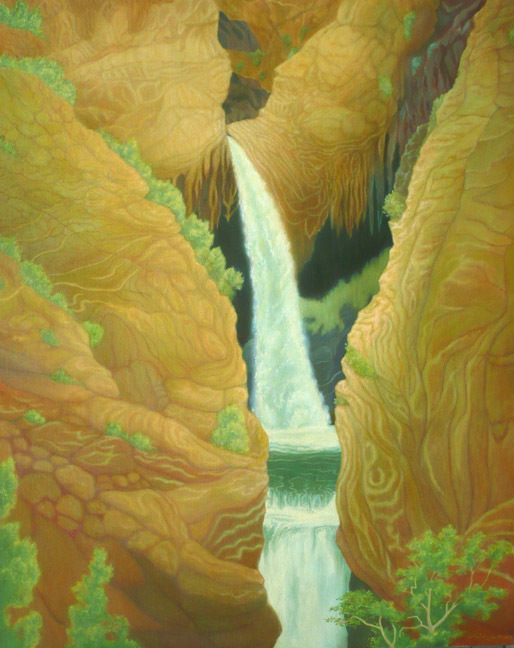 In the end, I didn’t paint a closeup or one that reflected the mythology around the rock. 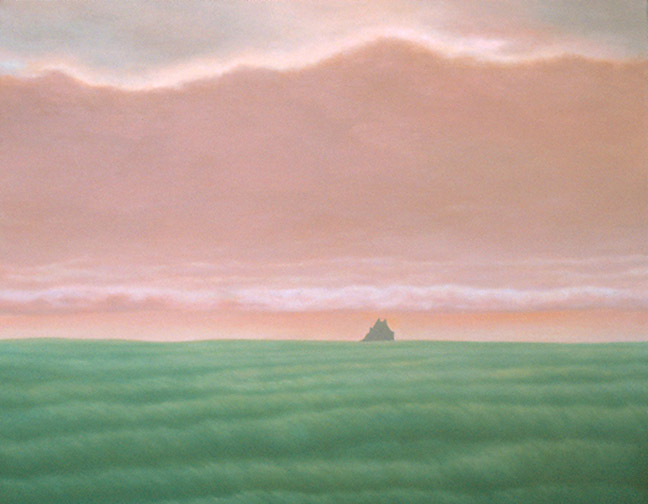 Instead, I focused on my own first impressions: a sea of waving grasses, windswept clouds, and a shape on the horizon that really did look like a sailing ship. 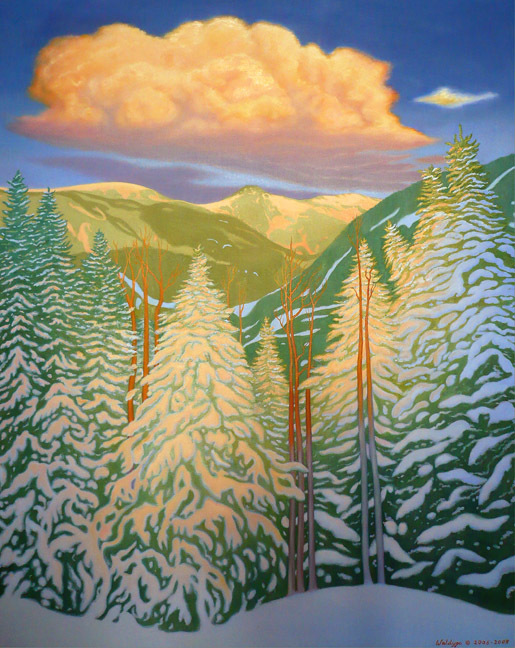 (2004, oil on linen, 45" X 50"